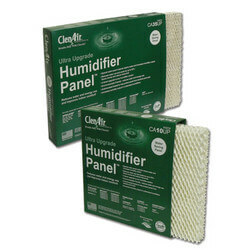 Low humidity will damage the home and human body alike. 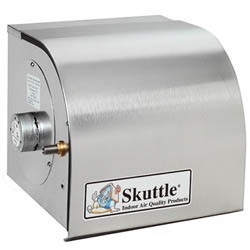 Keep it comfortable with a drum, bypass, room, or duct mount humidifier. A home is a lot like the human body, it needs to stay properly hydrated in order to maintain the comfort for those living in it. Air that is too dry can act like a giant sponge, soaking up moisture from everyone and everything in a home, including woodwork, wood floors, and furnishings. Common symptoms encountered when a home lacks proper hydration include dry skin, chapped lips, dry nasal passages, and static electricity. 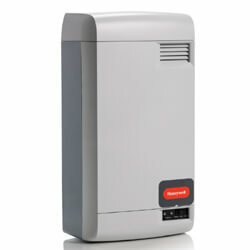 A humidifier can be used to increase humidity (moisture) in a single room or in an entire house. 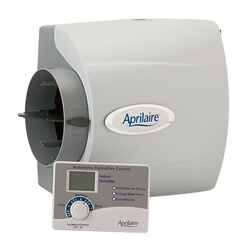 Point-of-use humidifiers are commonly used to humidify a single room, and whole-house or furnace humidifiers provide humidity to the entire house by connecting to a home's HVAC system. 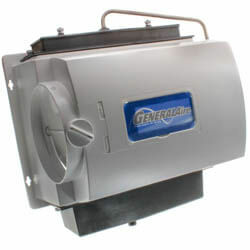 Whole House Humidifiers may be installed into the furnace for buildings with a forced air furnace. 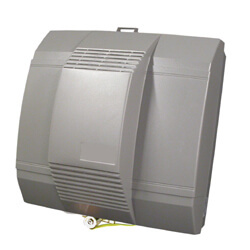 Drum whole house humidifiers are common evaporative units for forced-air systems. A sponge attached to a rotating wheel dips into a reservoir of water. 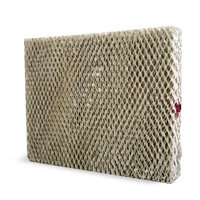 Warm air from the furnace is passed through the sponge and picks up moisture. The hot air enters the drum at one end and is forced to leave through the sides of the drum. 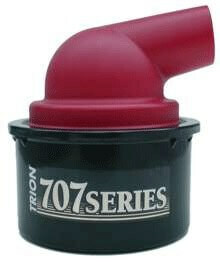 When the hygrostat calls for humidity, the motor is turned on causing the drum to rotate slowly through the pan of water and preventing the foam pad from drying out. 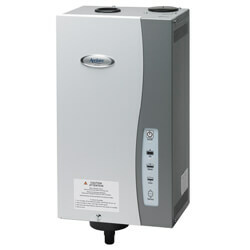 A bypass humidifier is a type of whole house humidifier that is connected between hot and cold air return ducts. 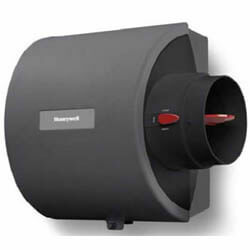 It uses the pressure difference between these ducts which forces heated air to bypass through the humidifier and return to the furnace. 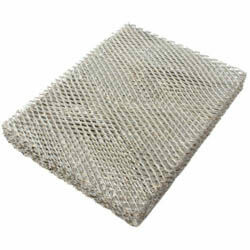 Bypass humidifiers do not contain a foam drum, but instead have a number of plastic discs with small grooves on both sides. 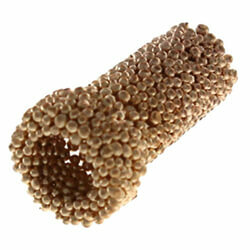 This allows for a very large evaporative surface area, without requiring a great deal of space. 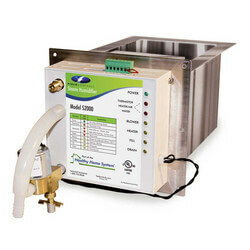 Humidistats are instruments used to sense the humidity level in the space in which the humidifier is installed. 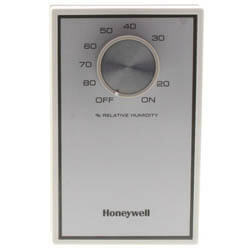 As the humidity level in the space drops, a set of electrical contacts in the humidistat close, turning the unit on. A dehumidistat operates in the opposite fashion by causing the electrical contacts to open when the humidity level in the space drops below the setting of the dehumidistat controller, thus turning the unit off. 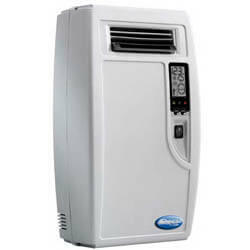 As the humidity in the space goes up, the electrical contacts will close and the dehumidifier will operate to reduce the humidity in the space. 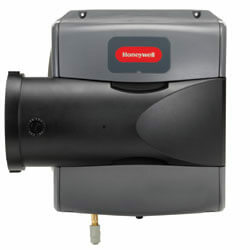 We offer a wide selection of Honeywell and General Aire humidifiers.